On Saturday DV Hardware went to Brussels, the capital of Belgium, to check out NEXT, a new expo of gaming, electronics & IT. NEXT is the successor of Gamepower Expo, the latter event changed name, became bigger, moved from Ghent to Brussels and broadened its view from gaming to gaming & consumer technology to appeal to more people. 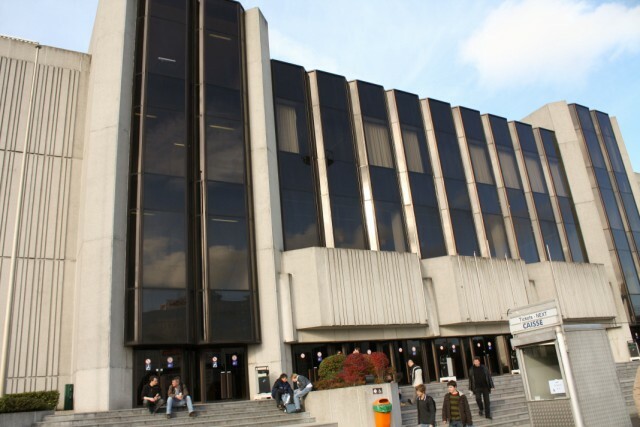 NEXT took place on November 8-9, 2008 in Hall 11 and 12 of Brussels Expo - good for about 20,000m² of show floor. The event had more than 50 exhibitors, including many big game publishers like Microsoft, Nintendo, Sony, EA, SEGA, Ubisoft, and Activision but also consumer electronic firms like Nikon, Canon, Bose, Acer, Philips, Toshiba, and TomTom along with several small firms that were showing off interesting new technologies. Around 20,000 people visited the show and the organizer behind the event already confirmed a second edition of NEXT will be held next year. NEXT was hosted in Hall 11 and 12 of Brussels Expo but there was little promotion for the event around the entrance. After wandering around for a couple of minutes at NEXT my first impression was that it was rather small, and that the main focus of the event was still gaming. 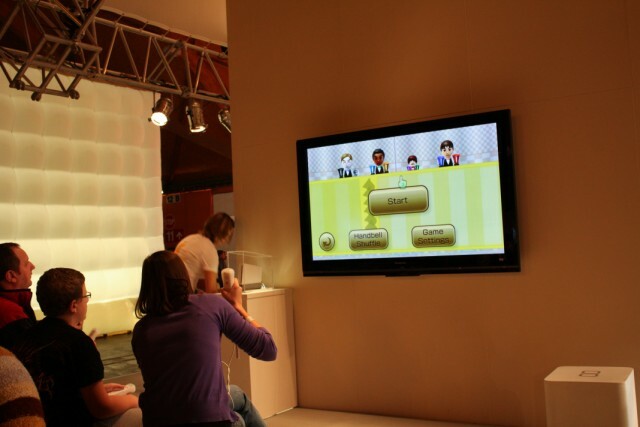 There were Xbox 360 consoles and Wii consoles everywhere and a lot of attention went to music games. 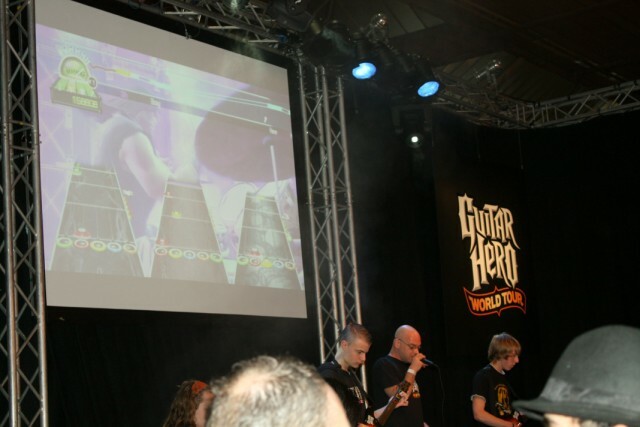 Games like Guitar Hero: World Tour, SingStar, Rock Band, Samba de Amigo and Wii Music were prominently featured at NEXT. 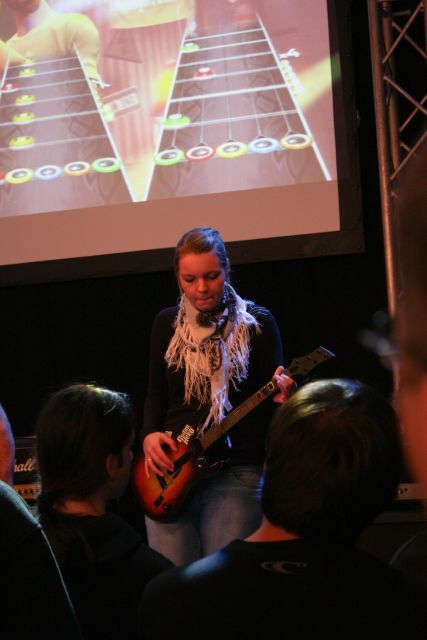 ActiVision's large Guitar Hero: World Tour booth attracted quite a lot of people. They had hired a band to showcase the game all day long and people who participated were rewarded with a tshirt and drum sticks. 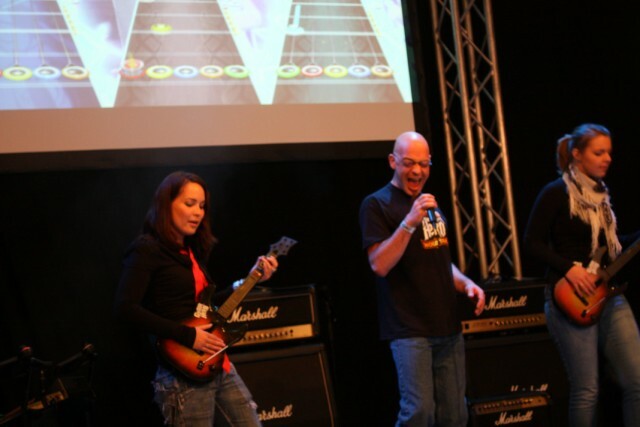 The Guitar Hero team seemed to enjoy their job a lot. 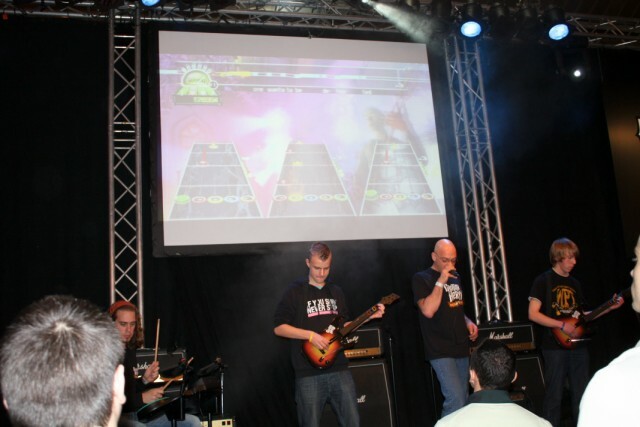 SingStar received lots of attention as well, although most gamers were rather hesitant to share their singing skills with the rest of the world. 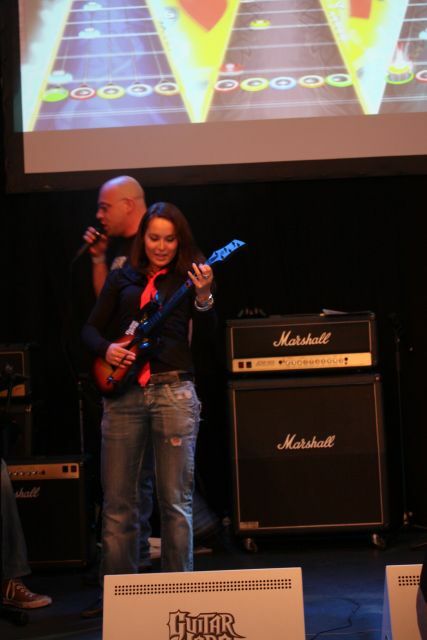 Visitors could also play Rock Band at one of the booths but gamers complained it was impossible to play the game because the instruments weren't properly calibrated. Over at the Nintendo booth, you could try out Wii Music but unlike Guitar Hero and SingStar, there were no crowds lining up to see this game in action.